Editor & Reviewer - Computer & Electronics Engg. Editor & Reviewer - Computer Science & Engg. Editor - Electronics & Communication Engg. Associate Professor, Department of Aerospace Engineering and Applied Mechanics, Indian Institute of Engineering and Technology, Howrah, West Bengal, India. Editor & Reviewer - Automobile Engg. Dr. S. Ravi, Senior Lecturer, Department of Electrical Engineering, Botswana International University of Science and Technology, Palapye, Botswana. Dr. Patrick Osa. Oviasuyi, Professor, Department of Public Administration, Faculty of Management Sciences, Ambrose Ali University, Nigeria. Dr. B. Lavanya, Department of Computer Science, University of Madras (Chepauk Campus), Chennai, Tamil Nadu, India. E-Mail:lavanmu[at]gmail.com . Prof. Dr. M. Rajaram Narayanan earned his Doctorate with a special focus on Mechatronics Engineering from the reputed Anna University Chennai in the year 2008. As a renowned academician, Charted Engineer and Supreme Court Advocate by profession he began his academic career as Lecturer and elevated to the level of Professor in the Department of Mechanical Engineering and served in various academias ranging from Engineering Colleges to Deemed-to-be-Universities in various parts of Southern India with a distinguished career spanning in Engineering Colleges for more than 2 decades. He has published nearly 31 research papers to his credit in refereed and indexed journals which include Scopus, Web of Science, Springer, Indian citation indexed journals, Elsevier and other prominent journals during his service and he has authored 2 books with ISBN. This has reflected in his publication records of Google Scholar with overall citation of 75, out of which 4 are h-index and 2 i10- index. He is the Editor-in-Chief of International Journal of Recent Research Researches in Science Engineering and Technology (IJRRSET- www.jrrset.com) an UGC Approved Journal and International Journal of Research in Mechanical, Mechatronics and Automobile Engineering (IJRMMAE-www.ijrmmae.in). 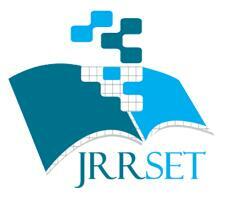 He is also the Editorial and Review Board member of various refereed journals in India and Abroad. He chaired numerous Conferences and has conducted many academic training and research programmes during his period of Professorship. As a perpetual researcher he has guided 5 PhD scholars and co-guided 4 PhD scholars from year 2008 to 2018. He visited Singapore and Bangkok during his academic career to promulgate research through various programmes which includes International Conferences and invited talks. Dr. Rajaram Narayanan is the member of multifarious professional and academic bodies which includes, Bar Council Member, Supreme Court of India, Charted Engineers of India, and LMISTE. He has won many awards and accolades during his carrier which include the Best Teacher Award conferred by Dr. M. G. R Educational and Research Institute during the year 2004. Presently he is the practicing advocate of Supreme Court of India and Visiting Professor at various varsities and Engineering Colleges in India.